Being someone that works from home, I love the freedom to be able to spend more time with the my husband and Reya. Unfortunately, this also means that sometimes I work some of the oddest hours, making it difficult for us to keep Reya on a consistent potty schedule. While she is good most of the time, we do sometimes still have accidents due to both of us losing track of time due to work. I refuse to use potty pads again since they were such a nightmare for us the first time, but truly wish we had a good indoor option. Until recently, I didn’t even think such a thing existed, until I heard about DoggieLawn. As a busy dog owner, I was very excited when I found out I was going to be able to try their new Full Size Fido service! As soon as everything arrived, we unboxed Reya’s lawn and couldn’t wait to see what she thought of it! Looking for a way to make potty training your dog easy while still making the transition to pottying outside easy? If so, we think you will love DoggieLawn! 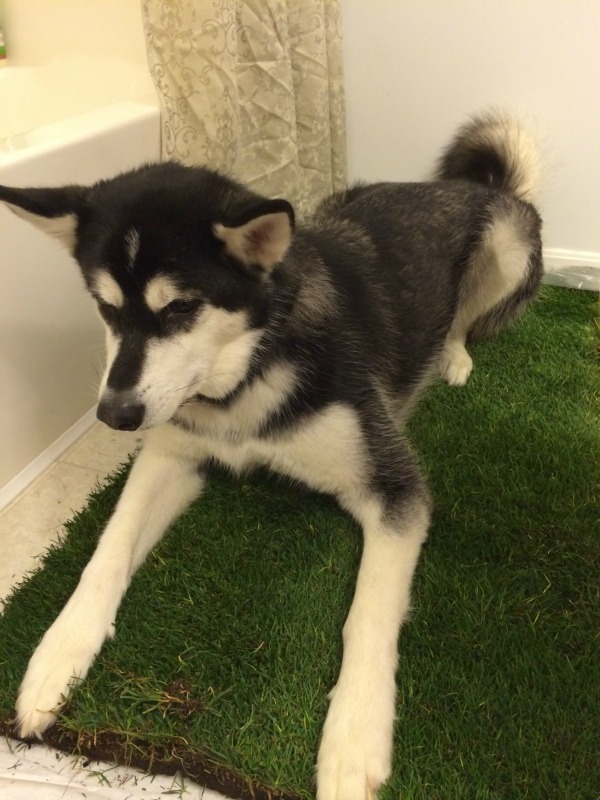 What makes DoggieLawn so interesting is that it is real grass that that your dog can use the bathroom on indoors. While this miniature lawn is perfect for puppies, it is also perfect for adult dogs who don’t have easy access to the outdoors due to living in a small apartment, or old age. Best of all, it means less accidents indoors for busy owners, allowing your dogs to have a piece of the outdoors in their own home! It doesn’t matter if you have a new puppy or a stir crazy older dog, having a lawn indoors is perfect for every pup! Okay everyone, I have to admit, I have fallen in love with the whole concept of DoggieLawn. While I helped house train our family dogs when I was younger, I have to say training a large breed dog not to pee in the house isn’t fun. It isn’t that it’s difficult mind you, but accidents take quite a bit of time to clean up since well…there is a lot of mess. Our Reya was always great about pottying on grass, but pee pads were a very difficult concept for her. By the time we got her consistently using them she didn’t see the point in holding it to go outdoors. It took us a long time before we got her going outdoors properly. Now that she’s a big girl, however, she is great at taking care of ‘business’ outdoors, but every so often still has little accidents. Once DoggieLawn came in our house however, we have had almost no accidents. She loves using this grass for potty time and seems to love her little lawn in the kitchen. Best of all, you just toss it out, replant the grass, or throw it in your compost when you are done, making it a great eco-friendly option for pet owners. Based on our own experience, we are delighted to give DoggieLawn an A+ rating and are looking forward to using this option in the future when we eventually add a new puppy to our household! 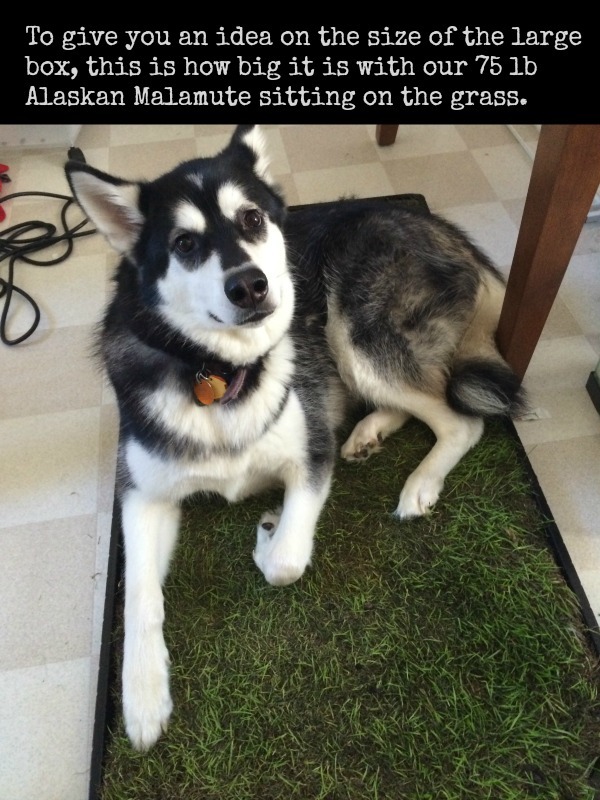 Would you like to try this awesome real grass in a box for dogs? You can purchase the DoggieLawn subscription service on their website. Currently, they offer two options – the Petite size for $29 a month or the Full Size Fido for $39 a month. These services are available monthly, tri-weekly, bi-weekly, or in a weekly plan, allowing you to get the perfect option for your own dog’s needs! If you want to try this once without subscribing, you can purchase this grass in a box service on Amazon.com. 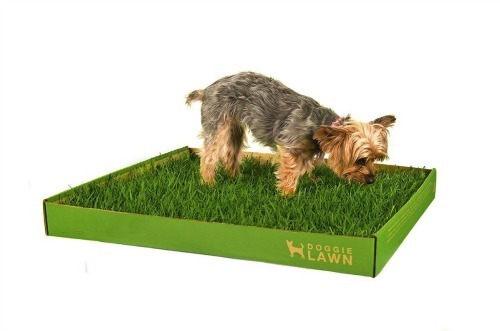 You can find the petite size grass box and large size grass box here (note: if you want the large box from Amazon, you will need to call DoggieLawn to order a tray). Once you have tried this awesome service, you will never use doggy pee pads again! What a unique product…great review, too! Bringing a little piece of “outdoors”, indoors’ I love that idea! i love the whole idea of lawn box as its good to know how easy it is to use for dogs and especially the dogs which are big. i have a big dog and sometimes its gets difficult for the dog to poop and its gets very uncomfertable then. As I read this review I was thinking what a great idea for me to use for my dog Princess Grace during the winter months in Georgia. Then I read all the way to the pricing and was shocked to see that you pay a monthly fee, not sure anyone could pay the high price I know I wont be ordering this item. This is so cool for a new puppy. Thank you for sharing your review. Do you have to water it? Does it grow?Is it a one time use thing? I’m very curious. I don’t have a dog. I think, if I had a puppy that wasn’t house broken, I might try it. 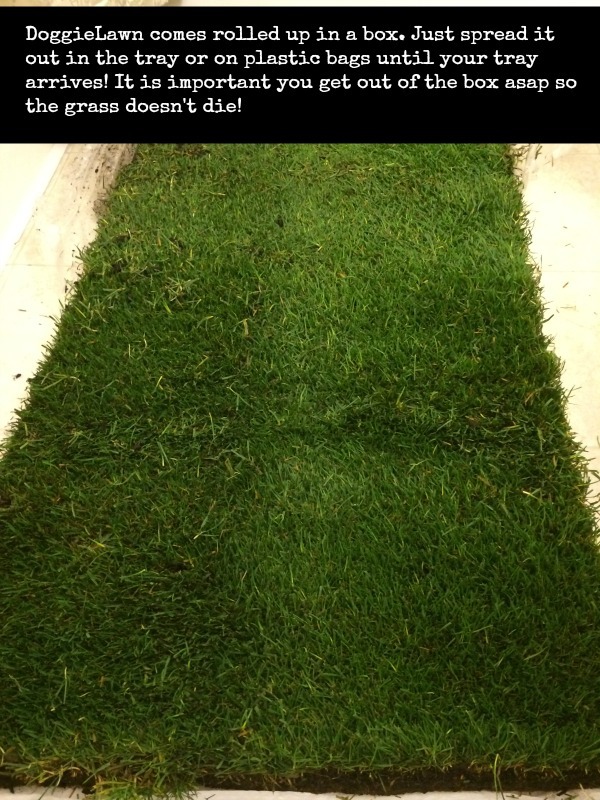 You water it like normal grass and it would likely grow if you put it under a grow light or outdoors. Reya’s has lasted for about 3 weeks now but for her its more of an ’emergency’ thing. For a puppy (depending on its size, I would guess it would need to be changed every 2 weeks. I never heard of this before but what a great idea! I do love the dog photos, they are adorable. I think the Doggie lawn is a good idea. I’ve never seen or heard of this before, but it looks amazing! I don’t have a dog but I can imagine many little critters would adore this!